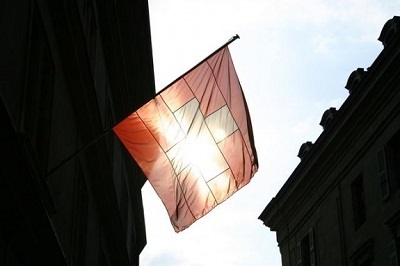 Five of Switzerland’s largest banks are in talks with retailers and SIX Group, a financial infrastructure provider, concerning the development of a new mobile payments service. Credit Suisse, PostFinance, Raiffeisen, UBS, and ZKB have begun open-ended negotiations with retailers Coop, Migros, and telecommunications company Swisscom seeking to band together and develop a new payment platform that can compete with those coming from Apple, Google, and Samsung. The banks want to ensure that they have a strong position in the mobile commerce space, which is beginning to grow rapidly in Switzerland. Notably, UBS, ZKB, SIX Group, and Swisscom all have their own mobile payments services which have been available for some time. These companies believe that the mobile commerce market could be quite lucrative, especially as retailers become more involved in the mobile space. Many consumers are beginning to rely on their smartphones and tablets to shop for and purchase products, and they are beginning to migrate offline, using their devices to make purchases in physical stores. Whether or not the banks and retailers decide to work together on the development of a new payment service has yet to be seen. Some retailers have shown modest interest, but they may be more inclined to use already well established services that have become consumer favorites. Banks still want to maintain control of the growing mobile commerce space, however, and may opt to develop their own payment services in order to do this. Apple, Google, and Samsung have all developed their own mobile payments services. These services have been made available for some time, with Apple and Samsung only just beginning to move into the European market. Banks have shown support for these services, but they have also been somewhat resistant to their spread, as they want to retain their position in the burgeoning mobile commerce market without losing revenue to these companies.